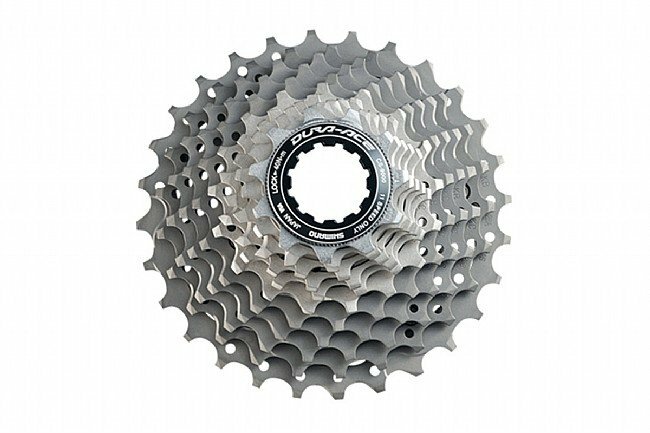 Shimano's newest 11-speed system calls for a completely overhauled cassette. With the Dura-Ace CS-9000, they've done more than simply tacking an extra cog on to last year's 10-speed model. New Hyperglide tooth profiles ensure reliable shifting with the narrower CN-9000 chain, a carbon mid spider carrier keeps the weight low, and new gearing options ensure an ideal spread for every rider, and any terrain. The Dura-Ace CS-9000 features six steel smaller cogs and five titanium larger cogs to strike the perfect balance between weight savings and durability. Available in various gearing options (see below). Claimed weight: 166g (11-23T). What can you say, this works flawlessly and is simply the best available. So if you want the best no other option, but it's not cheap. Make sure you change your chain on time so that you don't chew up the cassette quicker than you should. I got over 10,000 miles out of my last cassette with about 3 or 4 new chains during that time.